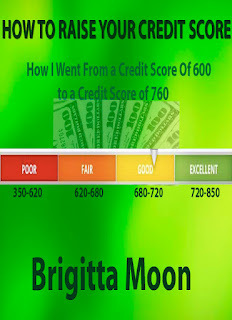 This eBook is a narrative of how I used my system to pay down credit card balances quickly with the outcome of increasing my credit worthiness. The narrative is presented in a light hearted fictitious and factual entertaining manner. Each individual outcome may be different due to other financial issues readers may have in their backgrounds. When needed always consult a professional such as an attorney when necessary. Because laws and practices change, it is the reader's responsibility to consult with any necessary advisor before putting any plan into action. Summaries, tips and strategies are recommendations by the author and by no means guarantee the reader of this eBook will obtain the same results. 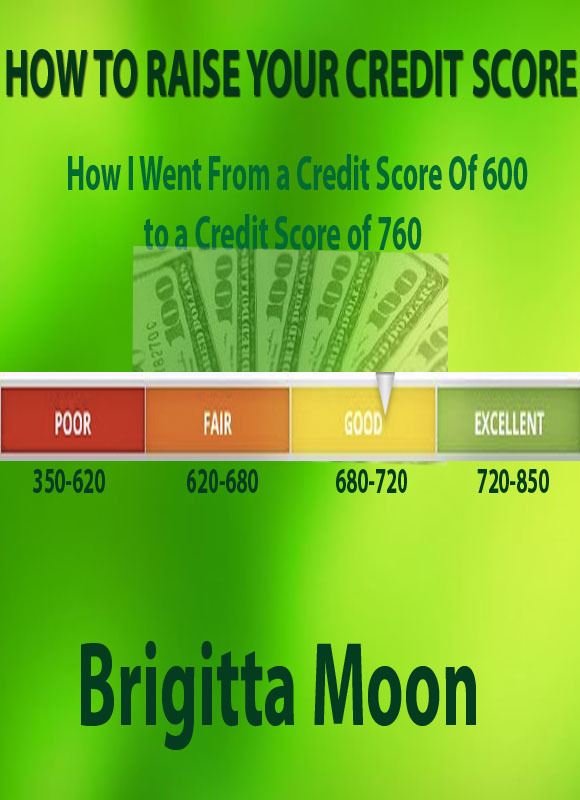 The information contained in this eBook is meant to serve as a comprehensive collection of a tested and proven strategy that the author of this eBook has applied to increase credit worthiness. The author has made all reasonable efforts to provide current and accurate information for the readers of this eBook. The author does not assume any liability for errors or omissions that may be found. All rights reserved. No part of this book may be reproduced in any form or by any electronic or mechanical means, including information storage and retrieval systems, without permission in writing from the author, except by a reviewer who may quote brief passages in a review. Living a life without financial worry is a dream of many. In fact there are many of us who would love to be millionaires. What is preventing you from reaching your financial goals? Are you living pay check to pay check? Are you spending more than you earn? Is your credit card debt stressing you each time the bill comes to your mailbox or your inbox? Sounds like a commercial, doesn't it? Well, it is time to lessen your stress and increase your financial health and happiness. Your first step to financial happiness is to evaluate your financial health. See realistically how ill your financial health is at this point in your life. Yes, this is the hard part, confronting the debt demons. Go ahead, get out all those statements. Make sure they are the latest ones. Now start your list. Make columns and label them as bill name, amount owed, interest rate and due date. Now fill in the information. Yes, some of you may fill a page or two. Just know you have taken the first step toward increasing your financial health. The next step is to order your bills according to the interest rate. The bills with the highest interest rates are the ones you will focus on first. These are the ones that are attacking our good health the most. They are the ones eating away our pay checks. Now tally how much you owe out in total and how much your entire monthly payments amount to. Take a good look. How comfortable are you with the numbers? If you added in your home mortgage or rent, automobile payment, Insurances, utilities and grocery needs, do you have money left over from your income? Do you have funds left over for vacation and enjoyment? If you answered in the negative it is time to get treatment for the disease that is ailing you, debt. There are so many of us who are buying Labels. We seem to feel really good, rich even if we are wearing clothing or buying cars that the rich and famous are buying. OK, I admit I have done it too. But the rich and famous have that kind of Money. Even $1000 for a pair of jeans for one of them is nothing in their income. In the average person's income it is, yes a thousand dollars of extra debt. Even if the jeans were one hundred dollars, it is extra debt. Now let's look closely at this. If you remove the label and put them next to a pair of similar jeans, is there a real difference? The cheaper Jean will clothe you. It will even be stylish. You can wash them without worrying about damaging them. You will have saved an extra $70-80 to add to paying off your debt. There are some of us who just enjoy a new car. Not just a new car, a high end car. Yes, I too have done that. In fact I have paid mine off and kept it. Many people will purchase a new one every year or every other year. Why? If your car is serving its purpose why not keep it? When you trade your car you are more than likely upside down in your new payment. This means you have no equity in the old car and you have agreed to add what you owe on your old car to the price of the new car. This new car is costing you a ton of money. Oh yea, you look good in it. You even look rich. All your neighbors, friends and family think you are successful, wealthy even. Only you and I know the truth. You are drowning in a sea of debt. Your new high end car is robbing your paycheck in upkeep fees. The oil change that's costing you$100 instead of $30 is sucking you dry. And yes we have to pay this every three months or every 3,000-7,000 miles depending on the model you have. You still have other upkeep fees for brakes, tune-ups and tires. These repairs come with a premium because of the name on the car. Oh please don't let anything break down. Don't let that dreaded check engine light come on. Your car is asking you to dig deep into your wallet, and even deeper for the price of the required premium gas. Your debt health needs an ambulance ride to the emergency department. Before we do that let's try rehab first. "Hello everyone. My name is shopping debt and I am addicted to shopping. I love to shop. I have maxed out all my credit cards to feed my shopping habit. If I see it and want it, I charge it. I have a confession. Sometimes I dip into my mortgage money to shop if I can't use a credit card. I am here because I am really feeling down about my situation. Not to mention I am broke." "Thank you Shopping Debt for sharing. Okay. Who will be next? Yes, you on the end." "Hi everyone, my name is Vanity Debt. I had a nice car. It never gave me a day of trouble. It was so dependable, but the car was getting up in age. It was two years old. It was time for a new one. I wanted that new car smell. I wanted the new model. So, I went to the High End New Car Dealer. He said no problem. He would have me in a brand new car today. And yes he did. Every time the payment was due I'd feel sick. I am paying for two cars in one. I still owed thousands of dollars on my old car. The salesman said, "No problem. We will take care of it." And now here I am." "Thank you Vanity Debt for sharing. Who will be next? Yes, in the front. Please stand." "Hello. My name is Family Debt. I spend so much time trying to make ends meet. I seem to never get ahead. The children always need something for school, trip money, school supplies, uniforms, dues and on and on. I have one headed for college. I don't know how we will afford it. I work overtime frequently. Sometimes we have to live off our credit cards to make ends meet. There have been times when I have had to use my credit cards to buy food for the week and gas to get to work. I decided to stop here before going to the emergency department." "Thank you Family Debt for sharing your story with us. Is there anyone else who would like to share? I see an anxious hand in the middle row. Please stand and tell us your story." "Hi everyone, my name is Vacation Debt. A few years ago a group of coworkers were going to the Islands on a cruise ship. I really wanted to go. I just didn't have the cash. I just couldn't pass this up. It was going to be fun. So I did what I had to do to go, I charged it. I charged my souvenirs, my gifts, my tours and I don't even remember what else. I had a blast. The next year came and they were going on a ski trip. The last trip was so much fun I didn't want to miss out. Heck, I work everyday. I deserve a vacation. So what, my cash was low. I hadn't paid off my previous bill, but so what. I charged it. I charged my ski lessons, my equipment rental and my meals. I had a ball. When the bill came I was shocked. How will I ever pay this down at this high interest rate? I am here today because my coworkers are going on another trip. I am still paying for the other two trips. I want to go. I told them to count me in. As I was sitting in the coffee shop last night I overheard a conversation. They were discussing how they attended this rehab. They agreed it was the best thing they had ever done. Now, I find myself standing here." Email me to enter for a free paperback. USA only.